Square is making its Card Case digital wallet app hands-free, enabling users to walk into a store and pay without ever pulling out their smartphone. They just say their name and order. With Card Case version 1.1 for iPhone(s aapl), users will be able to automatically open a tab with a participating merchant just by walking into their location after opting in with that merchant. 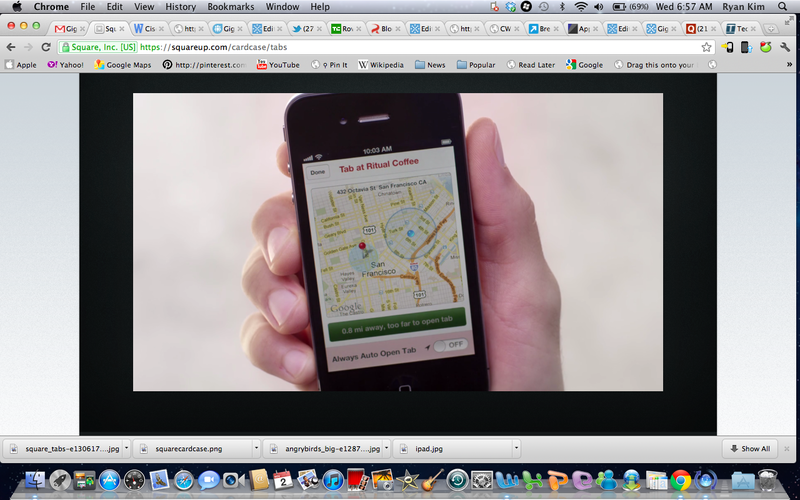 Using iOS 5’s geo-fencing capabilities, Square’s card case app can automatically establish a user’s presence when they’re within 100 meters of a location, letting a merchant see them and their face on their Square register iPad app. Users used to have to launch their card case app and open up a tab with a merchant to begin a transaction. On the business side, nothing changes. Merchants confirm a customer by face and ring them up with a receipt sent to the user. The money is pulled from a credit card or debit card loaded up on the Card Case app. It’s another sign of progress from Square, which is now up to 800,000 customers using its products. Although details weren’t shared at the time, Keith Rabois, COO of Square had shared at GigaOM’s Mobilize conference that the company had some big updates coming before the end of the year. Hands-free payments is not a blockbuster feature by itself but it shows that Square is working on perfecting the entire consumer experience, not just improving the actual transaction. I think that’s a smart move because the novelty of mobile payments gets old. What matters is strengthening that relationship between consumers and merchants. This is one way to do it: By helping ease the buying process and fostering more face-to-face communication between business owners and their customers. Square’s Card Case, which first launched in May with 50 merchants and opened up in late August to all businesses, is now up to 20,000 merchant locations nationwide. The latest Card Case update for iPhone is also gaining other improvements including an enhanced directory of merchants. Users can now browse by “featured” and “nearby” merchants. Merchant cards, the pages for merchants inside the card case, now feature more information like an expanded merchant bio, click-to-call options and specials and sell-out updates. There’s also Twitter integration so users can check out a merchant’s Twitter stream and see what people are saying on Twitter about that business. Square is also working on updating the Android(s goog) version of card case with these new features. I think the improvements to Card Case is a nice step and it shows where Square needs to go. Square should continue to foster that relationship between users and merchants by making it easier for merchants to reward loyalty. Right now, merchants have to keep track of how many times a user makes a purchase. But it would be good to create an automatic punch card-like system to reward customers after a set number of visits or after purchasing a certain amount. It would also be helpful to allow people to now just browse menus from their card case but order from there, even ordering before they physically arrive in the store. Quinn tells me the company is looking at all kinds of ways to make the purchase system more seamless. 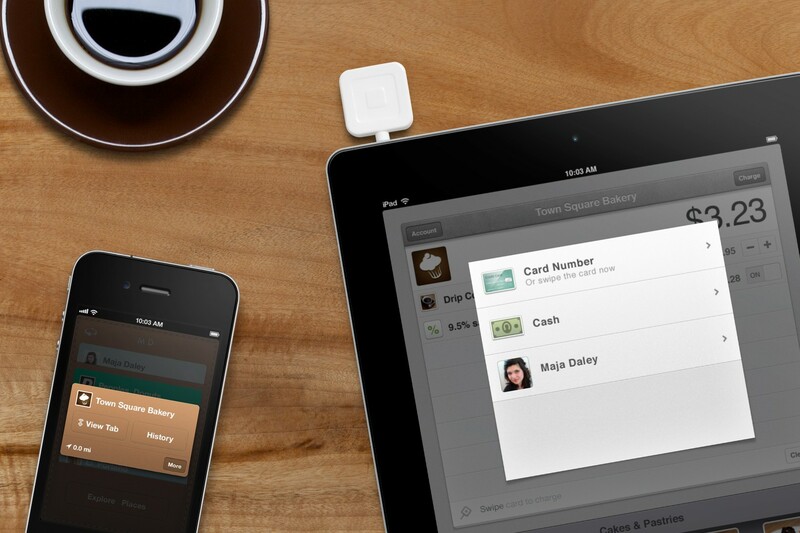 Square’s Card Case still needs to get accepted at more locations to really gain traction. Right now, I only see a handful of places within a mile of me in New York. But overall, I like what Square is saying. I don’t think payments by themselves are inherently interesting over the long haul. It’s about creating a better overall experience for consumers and providing more data along with acquisition and loyalty tools for merchants. I think the best next-generation payment systems and digital wallets will combine not only ease of use but all these extra features including smart offers and personalization. That’s when payments becomes powerful because it builds upon a relationship that goes deeper than the swapping of money for goods or services. How is this hands free? You still need to pull out your phone, open the app and speak into it. Really misleading article, guys. Sorry, if you watch the video Square has up – it’s still not hands free. The video has two scenarios. the first is the old way where you do have to open a tab. The second scenario involves a one time opt-in for the merchant. But the actual payment is hands free. If Square wants to perfect the consumer experience, they should offer an alternative to credit cards. They should effectively become an electronic bank, where people could keep small amounts of cash on deposit (interest rates are absurdly low anyway, and they could hold the cash in treasury notes, for a small profit), and then charge merchants 1-1.5%, which is less than the interbank fees. They would effectively be offering their own electronic debit card, and it would spell the beginning of the end of the banks completely undeserved and oversized profits from credit and debit cards.